How Dental Cleanings in Federal Way Can Save You Money! Many people avoid the dentist. 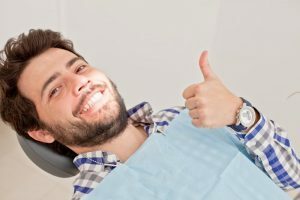 Whether it be fear of the dentist, the oral issues they may have, or the cost, there are many factors that contribute to skipped dental appointments. Although the cure for dental fear lies in a more complicated answer, your worries about spending have a much simpler solution. Keep reading to learn how dental cleanings in Federal Way can actually save you money rather than cost you from a trusted dentist. As mentioned above, some people fail to maintain regular dental visits once every 6 months because they want to avoid the cost associated with going to the dentist. In reality, the best way to save money at the dentist is to go in for your checkups to prevent worse issues from occurring. Ironically, most insurance carriers are 100% covered for their routine cleanings and checkups. When you need more extensive treatment, you’ll be paying out of pocket. Routine dental visits are your best defense against more costly procedures down the road and it’s the most cost-effective way to interact and learn helpful and important information from your dentist. During your visit, your dentist in Federal Way will check out the condition of your mouth, teeth, and gums. You will receive a comprehensive exam and cleaning as well as X-rays of your teeth. This provides your dentist an inside look at your teeth and it makes sure you don’t have any serious problems that aren’t visible to the naked eye. Some issues and diseases like oral cancer do not show any symptoms or physical problems until it has progressed into something that’s much harder and more expensive to treat. Your dentist will look at your head, neck, jaw, and the rest of your mouth to make sure everything is in tip-top working condition. This also is a great opportunity for you to ask your dentist any questions you’ve thought of since your last visit. Are you feeling any sensitivity in your teeth? Is there a problem area when you brush? These are issues you should bring up with your dentist will they are small. Letting oral health problems persist will only cost you more money, time, and pain in the future. Now that you know why routine dental checkups are important and how they can save you money, don’t let cost be a deciding factor of your health. Are you overdue for a dental exam and cleaning? Contact your local dentist today to save your hard-earned cash. Dr. Drew Beaty prides himself on bettering lives through expert dental care. He enjoys getting patients in for routine checkups to prevent oral health issues from becoming serious. He even has a Velscope in his office, which is an early detection cancer screening tool. He currently runs his own practice where he can be contacted through his website or by phone at (253) 839-6544 for any questions. Comments Off on How Dental Cleanings in Federal Way Can Save You Money!